The rivalry between sailors and motor yacht enthusiasts is legendary. At times fiercely competitive, (and at almost all times accompanied by humorous name-calling), the division between the sailing and motor yacht fraternities continues to divide the yachting world. Generally, experienced yachties will display a strong preference for either sail or motor yachts, putting their lifetime loyalties in either one camp or the other. For purists, it’s either sailing yachts, OR motor yachts… and never the two shall meet. The preference tends to start early: sailing grandfathers teach their infant grandsons to shake their fist at passing ‘stinkpots’, and families on speedboats roll their eyes at slow-going ‘blow-boats’ clogging up the bay on regatta day. And so the war continues through the generations, however good-natured it may be. Yet if you’re fairly new to the yachting experience, maybe you don’t know yet where your allegiance lies in the great civil war of seafarers. Or perhaps (just perhaps) you’re the open-minded type, looking for a different type of yachting experience this summer to suit your group – whether that’s with family, friends, or for a corporate charter. In truth, sailing and motor yachts both have an extraordinary amount to offer a charter group, and sometimes you’d be mad not to switch and enjoy the experience of going over to ‘the dark side’. For there are some circumstances where motor yachts are better for certain types of charters and people, and the reverse is also unmistakeably true. If you’re considering changing teams – even if just for one illicit charter – or are chartering for the first time, here are a few pointers on what separates the charter experience on the two types of yachts, and what might make you lean towards one or the other for your next vacation. Of course, there are a myriad of yacht designs within each of the two broad categories, so these are merely generalisations, with plenty of exceptions to each rule. Sailing Yachts vs Motor Yachts: Which is Best for Your Next Charter? In days gone by, this one was much easier to call, with motor yachts easily eclipsing their smaller sailboat brethren with their multiple decks and huge volumes – allowing for plenty of glamorous amenities and accommodation space. But sailboats have grown up in the intervening years, with huge, ultra-swanky sailing superyachts also taking to the seas. These extraordinarily comfortable cruising yachts have large volumes and wider beams, making room for stunning additions like Jacuzzis, gyms, on-deck cinemas, and even the odd beach club. Contemporary sailing yacht interiors are often just as spectacular as those found on motor yachts, with grand salons and ensuite staterooms, and are kitted out with all the mod-cons like internet and whizz-bang AV systems. But, of course, while sailing yachts have evolved so too have motor yachts, with these grand floating palaces just getting bigger and more luxurious by the year. Spas, cinemas, helipads and swimming pools – even sports courts – are now found on the very large motor yachts, and when it comes to features like water toy storage, sailing yachts can rarely compete. The Verdict: If you revel in space, glamour, and all the latest toys, then a motor yacht is probably your heart’s desire. Sailing yachts have a distinct advantage over their motor yacht cousins when it comes to encountering wild and windy weather. As long as it’s not blowing a gale, a sailing yacht crew and their charterers react to a strong breeze with glee, hoisting the sails and making their way out to sea to get the adrenaline pumping, enjoying the sheer thrill of the sport. And when the wind drops and the sea is glassy still, a sailing yacht captain simply puts the engine on and motors to a beautiful anchorage for a day of traditional yachting pleasures like swimming and snorkelling in heavenly conditions. Motor yachts, while eminently capable of coping with heavy weather, tend to turn tail and head for port when the weather turns grey, windy, or rainy. They are built to cross oceans, but from a guest perspective, they excel in the sunshine, and you probably wouldn’t take a motor yacht out in poor weather just for a fun cruise. A sailing yacht, in short, has more versatility in different weather conditions. Both wind and calm are happy times indeed. Verdict: A sailing yacht is the yacht for all weathers, and soundly wins this round. This is something to think about if you’re planning to charter in a region that gets a lot of wind in the summer, such as the Aegean Greek Islands, or are chartering in the shoulder seasons when weather can be more inclement. Sure, a performance sailing yacht can go at a hefty clip in a strong wind, but there’s the small matter of not being in control of that wind. If the air is still (or blowing in the wrong direction), the engine on a sailing boat will still get you there…eventually. As such, you generally won’t be able to cover as much ‘ground’ in a sailing yacht charter itinerary as you would on a motor yacht. Verdict: If you’re the type that’s always in a hurry and wants to get to the next destination quickly or cover a lot of destinations on your charter, then a motor yacht is for you. On the other hand, if you enjoy the journey as much as the destination and love being out on the water, then a sailing yacht will likely nicely suit your temperament. Who wins this round will depend very much on what makes you tick. I don’t know anyone on earth who wouldn’t get a little thrill out of entering Monaco or St Tropez on a huge motor yacht, watching the summertime crowds gather to see who’s on board. Part of the motor yacht appeal is the presence of the things: their size, their grandeur – the sheer, unapologetic showiness of it all. But for those who enjoy the thrill of the sea and the sport of sailing– whether that’s racing in a regatta or just heeling over in a strong wind, racing down the Riviera with the backdrop of the Alps flitting by – well, a sailing yacht is the only thing that will get your blood racing. The Verdict: Well, that depends on how you get your thrills now, doesn’t it. What kind of yacht you prefer will often come down – at least just a little bit – to how involved you want to be in the process of being on the water. While sailing yachts will absolutely never require you to pitch in and learn the ropes, there’s no question that for many avid sailing yacht charterers, getting involved is a huge part of the fun – and this is particularly the case if you’ve got children that you’d love to see learn a new sport on holiday. There’s nothing quite like standing at the helm of a sailing superyacht, wind in your hair, knowing you’re in control of this extraordinary vessel, or mastering a new skill as you learn about reading the weather and sea conditions. The participation element of yacht charter is something that motor yacht guests rarely get to experience, as the navigation and operation of a motor yacht isn’t generally a collaborative effort where guests play a part. On a motor yacht charter, the guest experience tends to be more focussed on the luxury and relaxation side of things. Additionally, because of the collaborative sporting nature of sailing yachts, the crew–guest relationship on these vessels tends to be somewhat more relaxed, with a sense of participating together towards a goal and a growing sense of camaraderie building over the course of the charter. Here’s the most important consideration of all. What kind of yacht charter are you planning? You should definitely adapt your preferred style of yacht to each individual charter, rather than just chartering the same kind of vessel each time. For example, if you’re planning a corporate team-building yacht charter, then a classic sailing yacht charter is a superb opportunity to get everyone bonding together while learning how to sail a century-old yacht. On the other hand, if you’re hosting a corporate yacht charter for the Cannes Film Festival or MIPIM, you’ll certainly appreciate the added deck space of a motor yacht so you can throw opulent parties and host VIP clients. You might want an ultra-modern performance sailing superyacht to compete in the Superyacht Cup in Porto Cervo, but charter a large motor yacht with lots of interior space and water toys for that trip along the French Riviera with the extended family. Verdict: Don’t get so wedded to one type of vessel that you completely miss the wonders of the others. You don’t actually have to choose a side. Just choose what’s best for you this upcoming trip, and embrace everything about this style of charter. Variety is the spice of yachting, so ‘play both sides’ to your heart’s content. To figure out which type of yacht is best for your particular needs this summer, contact the Mediterranean yacht charter experts at Bespoke Yacht Charter. No matter what kind of charter you’re planning (or which side of the sailing/motor divide you naturally fall on) we have the perfect yacht to surpass your expectations – and possibly test your lifelong allegiances along the way. In the heavenly landscapes of the South of France, vineyards abound. The rolling landscapes of Provence are criss-crossed with vines, some of which run right down to the blue-green sea, while other wineries sit back from the coast in gently rolling countryside, or perch high in the steep hills behind Nice. The South of France has been blessed with the perfect wine-growing jackpot. The region is drenched in sunshine, benefits from an environment largely free of pests, and has excellent soils for vines which vary across the different areas: in the west, soil rich in limestone from an ancient inland sea, while granitic and volcanic soil dominates the east. There are also wild-growing herbs throughout the region, which are said to gently permeate the soil – and ultimately, the flavour of the wine. This variety of soil and landscapes lead to a wide variety of grapes being grown, and while the pale-blush rosés of Provence still dominate the winemaking reputation of the region, there are a growing number of exceptional red, white, and sparkling wines being produced. From visiting the tiniest local producer to sampling famous vintages that grace Michelin-star menus, a wine journey along the French Riviera and Provencal coastline is an exercise in the good life. A French Riviera yacht charter is the ideal way to experience the spectacular wineries of the South of France, whether you’re dropping anchor off the Cannes Islands or taking a tender to a clifftop winery in Cassis. Floating slowly down the stunning coastline from Monaco to Marseilles against a backdrop of mountains and beaches, you’ll enjoy all the yachting pleasures of life on board, before coming back to land for your next winery experience. A yacht charter effortlessly avoids the hassle of daily transfers to and from your hotel (or moving between hotels as you travel down the coast), making it the ultimate luxury wine tourism experience. You might even like to plan your South of France yacht charter for the fall, to coincide with grape harvest season and the local wine festivals of October – which is also a great time to take advantage of the reduced charter rates and blissfully quiet anchorages of the shoulder season. Here are a few of the best vineyards to visit on a South of France wine-themed yacht charter. Our list predominantly features vineyards either on or in close proximity to the coast for effortless access; however, we have included a couple of show-stoppers that are well worth a gorgeous day trip into the Provencal interior. A day up at Chateau de Bellet is tinged with that ‘pinch yourself’ feeling a person gets sometimes on the French Riviera; that you have somehow fallen into a movie set; one where the expectation perfectly merges with the reality. Part of the appeal is the magnificent setting: elevated high above Nice with the vineyard terraces dropping away to distant views of the Mediterranean, Chateau de Bellet offers a glorious tasting room in a deconsecrated chapel, a brand new 8000m2 cellar, and tables on a sunny flagstone terrace overlooking the grand view of Alps and sea. This centuries-old vineyard produces only organic wines, including the prestigious white wines, Cuvee La Chapelle, and Cuvee Baron G. This is a genuinely lovely place to wander among the vines, and is easily accessible from your yacht in Nice. In the pine-scented isles just off Cannes, you’ll find a vineyard out of a dream. Tended by Cistercian monks from the island’s medieval abbey, this tiny vineyard produces award-winning wines and liqueurs that appear on fine restaurant tables across the Riviera and beyond. The 8.5 hectare property grows Clairette, Chardonnay, Viognier, Syrah, Mourvedre and Pinot Noir grapes, as well as making Limoncello and the herby 19th century liqueur, Lérina. The highlight is the Saint Pierre, a Chardonnay-Clairette blend with apple and honey notes and a delicate white fruit perfume. With no cars on the island and an exquisite sense of peace, St Honorat is a lovely island to explore on foot, taking a walk along the coastal path to visit the 10th century fortified monastery and stroll among the sweet-smelling Aleppo pines and olive groves. You’ll want to stay on the island for lunch at La Tonelle restaurant, enjoying its glorious view back across the water to the neighbouring Ile Saint Marguerite. The monks of the Abbey take a vow to live out their days on the island and never leave, and by the end of your day on Ile St Honorat, you may just think they’re onto something. A bottle of Whispering Angel Rosé, frosted with condensation as it is pulled out of a solid silver ice bucket, is perhaps one of the signature sights of the superyacht world. Vast quantities of this pale pink rosé are quaffed on yachts each summer as guests drift down the French Riviera, partying in Cannes and dropping anchor off a beach club in St Tropez. 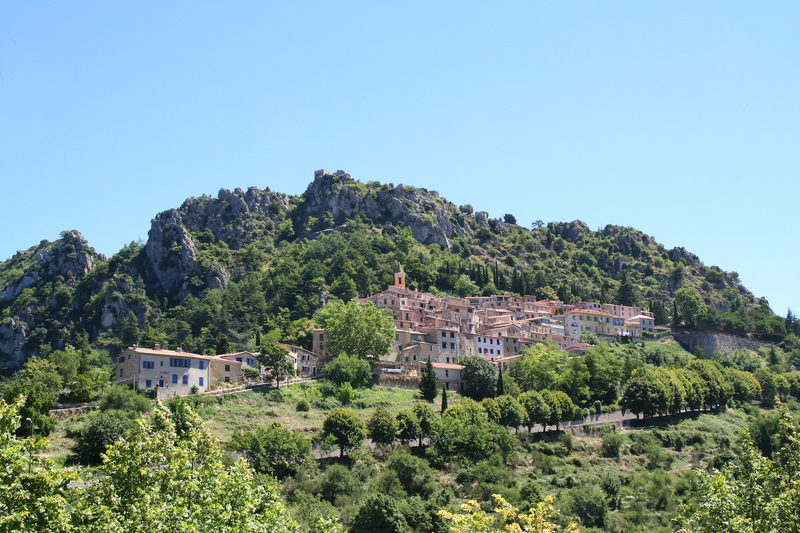 25 kilometres inland of Frejus, you can come and taste it for yourself at Chateau d’Esclans, a breathtaking vineyard with a view back across the coast. The first glimpse of the 19th century chateau through the avenue of trees is enough to make you gasp. With the property once used as a lookout to spot pirates entering the Gulf of Frejus, the winery’s cellar dates from the Dark Ages and is the oldest in the region. The vineyard is renowned for the age of its Grenache vines, some of which are 90 years old, lending a greater concentration of flavour to the wines. Just outside glamorous St Tropez, this exceptional vineyard was snatched from obscurity in 2011, when celebrated wine maker Roger Zannier saw the potential of the 70-hectare estate. It was a gamble that paid off, with a number of their wines gaining rapid acclaim, including the Cuvee Excellence White and the superb Clos de Capelune Rosé for its white peach flavours, light perfume, and heavy-based signature bottle. Their high-tech vineyard sits opposite the historic Grimaud Castle, surrounded by cork oak forest and the Maures hills. Chateau Saint-Maur is considered one of the standout wineries of the Provence region, and tours are by appointment only. An hour’s drive inland of St Tropez lies the spectacular Chateau de Berne. Located near the village of Lorgues, this five-star hotel and winery is ground zero for Provencal wine tourism. This sprawling Provencal chateau houses a Cinq de Mondes spa and a Michelin-starred restaurant, and is set in a hilly landscape of vines and forest. It is a vision. And in case you’d thought we’d forgotten we were here to talk about wine, Chateau de Berne has plenty to remind us. 200 acres of this 1480-acre estate is dedicated to viniculture, resulting in some of most acclaimed rosés, whites and reds in Provence. The final entry on our list has another jaw-dropping location, right on the cliffs of Cassis in the Calanques National Park. The vines grow right to the Mediterranean at Clos Sainte Magdeleine, making this winery extremely accessible from your yacht. Set on a private wooded headland, this limited-production vineyard benefits from limestone and clay soils, creating exquisite rosé and white wines. Four generations of the family have grown wine at this art deco-style chateau, stretching back to founder Jules Savon, who won the gold medal at the World Fair in 1900. It’s not hard to see why the generations continue to live out their years making wine here; it would be difficult to come up with a reason to leave this heavenly place. This list is a mere fragment of the world-class vineyards you could visit on a week-long wine connoisseur’s yacht charter on the French Riviera. In fact, you may need longer than a week! To book a South of France yacht charter taking in the best wineries of the region, contact the French Riviera Yacht Charter experts at Bespoke Yacht Charter. If you’re looking to move to Monaco, you may well already have clear ideas about the kind of luxury villa you wish to buy. However, one thing that may not have crossed your mind is the proximity to great riding schools that a Monte-Carlo postcode brings. After all, Monaco may be synonymous with extreme glamour and ultra extravagance, but this is by no means the extent of what it can offer. Monte-Carlo’s situation, tucked away in the French hillside, makes it the perfect base for excursions. 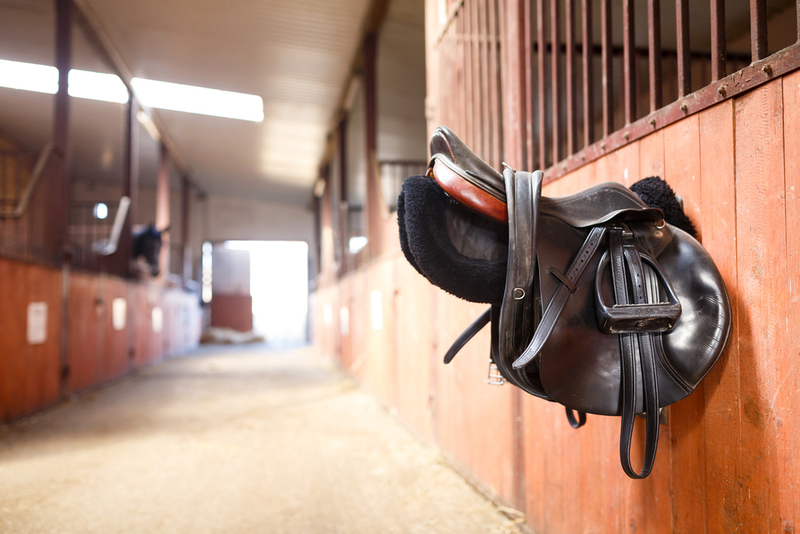 And for those who enjoy nothing more than exploring the countryside with an equine friend, there are plenty of opportunities for pony trekking and horse riding near Monaco, with a range of equestrian centres which cater to every possible need. Read on to discover four of the best, and get ready for the ride of your life! Tucked away in the medieval village of Peillon, just 20 minutes from Monaco, lies a magnificent equestrian centre aimed at those with a competitive streak. As a multi-discipline school, the Centre Equestre Des Preisses offers the full range of horse-based disciplines including jumping, contests, dressage, horse-ball and more. The club’s friendly teachers will train anyone from 4 years upwards, and its covered riding space means it is in action all year round. What’s more, the prices are extremely reasonable given its proximity to Nice and Monaco, with lessons offered from only €20. Definitely, one to visit if you think you’re little ones may be within a chance of becoming the next Charlotte Casiraghi. If you’re willing to drive a little further to find great horse riding near Monaco, a 45-minute road trip will take you to Horse and Ventures. 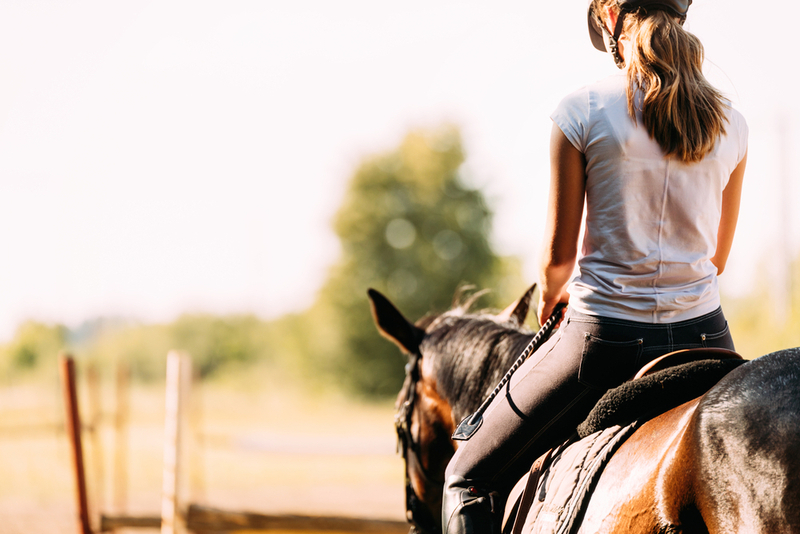 A charming and all-encompassing equestrian centre, this Sainte-Agnès institution offers a friendly approach to exploring the great outdoors on horseback. 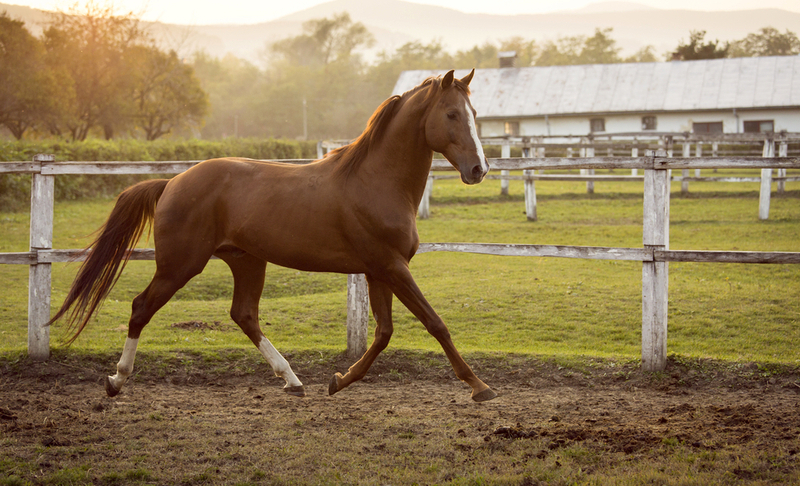 Horses here are raised in open pasture, and their gentle nature means you can rely on them to bring you an enjoyable excursion in the Alpes-Maritimes. Horse and Ventures offer part or full day rides in and around Sainte-Agnès, alongside longer 2-6 day trekking holidays around different areas of the rolling French countryside. The club can also provide horse riding lessons, as well as special packages that combine horse riding with a love of food or even yoga. All in all, whatever you are looking for they should be able to provide; their longer trekking holidays come particularly recommended. Just a stone’s throw away from Monaco in neighbouring Menton, the Centre Equestre Monti awaits. Run by a family of riders with a passion for everything equestrian, this club has been successfully teaching children and teenagers how to ride since 1979. It offers classes in both French and Italian teaching the main equestrian disciplines: dressage, jumping and pony games. As they progress, children have the opportunity to take the federal exams – aptly named “GALOPS.” The Centre Equestre Monti also teaches kids about the practicalities of the horse riding lifestyle, making sure they know how to groom and care for the horses, and hopefully fostering a love of these gentle animals that lasts a lifetime. The furthest away of all our schools for horse riding near Monaco, Horse Planet Equitation lies a 50 minute drive away, but we promise you the journey is worth it. Its beautiful setting has to be seen to be believed, known as the “Secret Riviera” because of its privileged position between Mediterranean Sea and Southern Alps and framed by the hilly Nice landscape. Horse Planet Equitation welcomes all lovers of horses and wide open spaces, so whether you are looking for a horseback trek with a view that makes you never want to get down, or simply want to learn through group or individual classes in stunning surroundings, this is the place for you. Lessons here can be carried out in French, English or Spanish, making them suitable for holidaymakers as well as residents. So there we have it: our top four spots for world-class horse riding near Monaco. Let us know which is your favourite, or if you have any other suggestions to add to the list. Other than that, we’ll see you out on the field! The Italian Riviera is north-western Italy’s coastal showcase, a place where the Ligurian Alps meet the Apennines with a dash of la dolce vita and a well-deserved reputation alluring yachts to one of the most popular yachting hotspots in the Mediterranean, Portofino. Decades of tourism have ensured that the beauty of the Cinque Terre and Portofino rank highly on places you need to visit and the entire coastline has bewitched royalty, writers and celebrities who have been drawn to the Mediterranean climate, beautiful towns and the blend of old and new. There’s no denying the appeal of Portofino, tucked into a sheltered inlet surrounded by colourful buildings and olive-clad terraces it has been grabbing headlines and attracting the international jet set for decades. In the height of peak season, the town morphs into Italy’s version of Saint-Tropez, however if you’re looking for Champagne-spraying nightclubs and hedonistic beach clubs you’ve come to the wrong place. Many visitors to Portofino don’t venture beyond the harbour and Piazzetta (small square), but renting a yacht on the Italian Riviera will introduce you to places of quiet beauty – especially in spring or autumn, ornate villas hidden amongst the trees and gorgeous scenery with romantic restaurants sandwiched between the mountains and sea. Portofino is not off-the-beaten path, however it’s possible to escape the crowds of day trippers and celebrities who visit Portofino for one day. Read this Guide to Yacht Charters in Portofino to discover the best things to see and do while on a Portofino yacht charter, where you can discover some of the celebrated highlights and the charter spots less visited amidst the surrounding attractions of the Gulf of Tigullio. When planning a holiday, you normally have to choose between snow and sand, mountain and beach, chalet and superyacht. Not on the French Riviera in spring—one of the few locations on earth where you can enjoy a sea and ski yacht charter. In the south of France, Alpine ski fields are in close proximity to warm, sunny beaches. The French Riviera is famously known as a destination where you can be hurtling down fresh powder in the morning, only to find yourself relaxing in a Cannes beach club in the afternoon, enjoying the spring sunshine as you drink rose with your feet in the sand. A yacht charter than involves snow skiing and beach clubs, art galleries and opera, Michelin-star dining and hill villages, après ski and boutique shopping. Sunshine, calm seas, and snow. Where else but spring on the French Riviera? The epitome of luxury and glamour, the French Riviera is the ultimate hotspot if you are looking forward to a plush holiday. Locally known as the “Côte d’Azur”, the beautiful Mediterranean coastline has always drawn tourists from all over the world for its stunning natural splendor, breezy climate, beach fun and dazzling lifestyle. From Cannes to Monaco to Nice – some of the most coveted destinations fall along the French Riviera coastline. And what better way to explore this gorgeous location than with a luxury yacht vacation? There are a myriad of luxury yacht services available to cruise around French Riviera. Decked up in plush amenities, with splendid décor and stellar hospitality, these yachts will take you to all the prime hotspots of the coastline. You can book a luxury yacht charter for a day, a week or more. Here is a brief summary of the different amazing locations you will be covering on your luxury yacht vacation along the French Riviera. The paradise of glitz and glamour, Cannes is your place for that coveted a-la-Hollywood style holiday. From lavish boutiques to electrifying nightclubs to sandy beaches to even antique cobbled streets – Cannes has everything to leave you in awe and amazement. To make things more special, tourists often prefer luxury car hire services to explore the city like a star. There are several luxury car hire services available here to help in renting a Porsche in Cannes or other luxury marques like Audi or Mercedes. After Cannes, your next stop will possibly be St Tropez. It’s a small quaint town lined up with some of the best restaurants in the world and a very vibrant nightlife scene in the summer season. The hub of the rich & famous, St Tropez will often have you stumbling upon celebs at almost every turn. And yes, St. Tropez is also the location of the most loved beach along the coastline – Pampelonne Beach. Complement your St Tropez trip with a stunning tan on the beach followed by unforgettable champagne lunch at one of the legendary beach clubs. If you wish to experience the unspoilt natural splendor of the famous French Riviera, the island of Porquerolles is sure to win you with its stunning scenery. The place is great for water sports followed by a relaxing lunch and an after swimming. Although not as luxurious as the other more famous locations along the coastline, this lovely island is still home to some fabulous restaurants. Monaco is certainly one of the most coveted destinations on any French Riviera cruise. Rich in royal history, the city-state is always a great tourist draw with its Prince Palace, designer boutiques, Michelin-starred restaurants and of course the legendary casinos for which the Principality is so well known. No luxury holiday on the Cote d’Azur is complete without a stay in Nice. A magnificent blend of quintessential French charm and revered Italian class, the famous city and capital of the region is a treat to both the eye and the heart. You will love its buzzing boutique restaurants, while Nice’s bars and cafes command a unique elegance of their own. And of course, there are plenty of opportunities for various water sports like snorkelling, diving, swimming and much more. Wishing you a fabulous luxury yacht charter on the French Riviera! A scant 100 years ago, the idea of visiting the French Riviera in the summertime was unheard of in polite society, who deemed the South of France in July and August to be far too hot and bothersome. Instead, the first-class trains and ornate horse-drawn carriages would start to arrive as the weather cooled and the first snows fell on the Alps, delivering queens and tsars, dukes and duchesses, writers and artists for a glittering winter season of parties and operas and promenading under the palms. In winter at the turn of the 19th century, the Cote d’Azur was the centre of the fashionable world. In summer, the carriages departed, and the opulent villas and belle époque hotels were shuttered up once more until the haze of summer cleared and the sea again held its enchanting winter sparkle. And that’s how the Riviera stayed—a resolutely wintertime resort— until the 1920’s, when New York socialites, Gerard and Sarah Murphy, convinced the Hotel du Cap Eden Roc to keep a wing open for them for a summer. After buying a nearby villa the next year, they invited friends F. Scott Fitzgerald and Hemingway for decadent, endless summers of jumping off the rocks into the sea, fabulous parties, and long boozy lunches under the shade of pine trees that buzzed with cicadas. Winter on the French Riviera is an absolute delight, as the summer crowds thin out, the snow gathers on the Alps behind the coast, and the landscape is covered in a vivid yellow carpet of mimosa flowers. Whether it’s a crisp blue sky day with endless views of sparkling sea, or a blustery afternoon where the palm trees bend and wave along the seafront at Cannes, there’s nothing quite as lovely as warming up after a walk with a steaming cup of vin chaud, a mug of rich hot chocolate, or a paper cone full of roasted chestnuts. And with the Cote d’Azur lighting up with Christmas markets, and the ski resorts within easy reach of the coast, the French Riviera offers a winter experience with just the right amount of joie de vivre. Here are some delicious wintry drinks and treats to enjoy in France, as well as a few select places to enjoy them. Whether you want to call it vin chaud, mulled wine, or gluhwein, the fact remains: the first sip of this warm red wine spiced with cloves and cinnamon is pure Christmas in a glass. And on the French Riviera, there are so many places to enjoy this wintery beverage! Is there anything more festive than wandering around a brightly-lit Christmas market on a dark winter’s night, cold air on your face and a warm cup of mulled wine in your hand? We think not. Wonderful Christmas markets spring up all along the French Riviera in the wintertime, as well as in the pretty hill villages behind the coast. The Christmas markets at Nice and Antibes even have a giant Ferris wheel on site, giving dizzying views across the city, sea and mountains. All of these Christmas markets have pretty little Christmas stalls with pitched rooves dusted in fake snow, their stallholders wrapped up tight in scarves dishing out steaming cups of vin chaud—as well as other warming treats like roasted chestnuts wrapped in paper, gooey Nutella crepes, and unbelievably moreish slices of socca sprinkled with pepper and wrapped in tinfoil. The Christmas markets (and the yummy food and drink to be found at them) is one of the best things about a winter holiday in the South of France. Every time you drink mulled wine in future, you’ll be instantly transported back to that holiday feeling of winter on the French Riviera. If you’re looking for vin chaud outside the Christmas market experience, our best tip is to go local. Find a café or bar displaying the sign ‘maison vin chaud’, which means they make the drink in house. Perhaps even more importantly, look for a bustling café full of locals, because you want a busy place where the vin chaud isn’t allowed to get old, as it becomes bitter when it’s reheated. Besides, the experience of walking into a warm, noisy French café on a cold winter’s day and taking a table to watch the comings and goings is so utterly French that you really can’t miss it when on holiday! Avoid the sophisticated bars aimed at tourists and go somewhere with a bit of local heart and colour if you can. In Antibes, try one of the cheap and cheerful local bars up near the market, or Le Vieil Antibes café by the fountain on Rue Republique. In Cannes, you might like to enjoy the cosy atmosphere of 72 Croisette, sipping vin chaud as you look out across the boulevard to the superyachts in the port. In Nice, Bistrot Chaud Vin really ought to be a winner for mulled wine given the name, and in Monaco, try the unpretentious Monte Carlo Bar in La Condamine, any time of day or night. One of the most incredible aspects of a winter holiday on the French Riviera is the proximity to the ski-fields, with the closest ski resorts only an hour away. And vin chaud is an unmissable part of the French ski field experience! You might like to stop at one of the mountain terraces for a steaming cup of the mulled wine between ski runs, or get into the spirit of things with an après ski session, with hot mugs of vin chaud, spiked hot chocolate, or shots of schnapps warming up the chill in your bones. Of the ski resorts within 2 hours of Nice airport, Isola 2000 has the most bars and nightlife if you want to get into the après ski spirit after a brisk day on the slopes, but you’ll find that all the ski fields in the area offer vin chaud and a welcoming buzz in the evenings. Again, the key is to look for a busy place that won’t let the vin chaud sit around for long enough to get bitter! The first question you must decide on: what is your perfect hot chocolate? Is it the powdered stuff you have at home, laden with marshmallows? Or is it French hot chocolate, with its dark and silken combination of real bitter chocolate and milk? Or perhaps your idea of perfect hot chocolate is Italian, which is so thick and gooey you can almost stand your spoon up in it? You can find all three kinds of hot chocolate on the French Riviera, all coming under the title of ‘chocolat chaud’. You’ll generally find the powdered cocoa version at your cheaper cafes, but we urge you towards the decadent drinking chocolate experience to be found at the finer establishments of the Riviera. Drinking top quality hot chocolate in one of the world’s most opulent hotels is not a bad way to spend a leisurely hour or two. A hot chocolate at the Hotel de Paris in Monaco is a memorable, refined affair, as is the hot chocolate served during high tea at the glamorous Hotel Carlton Intercontinental. Perhaps the very best hot chocolate, however, is to visit one the French chocolatiers along the Riviera, whose thick delicious concoctions are pure bliss on the tastebuds. Jean Luc Pele’ has flagship stores in both Cannes and Antibes, where you can sit in the little nook overlooking the street and drink your hot chocolate and feast on their heavenly pastries and artisan chocolates. If you’re visiting the coast in February, you’re guaranteed to get a superb hot chocolate at the Antibes Chocolate Festival, ‘Bread, Love, and Chocolate’, which begins, rather fittingly, on Valentine’s Day. Warm your hands with a hot chocolate and take a wander through the port, where you’ll see crew on deck of the beautiful yachts, beginning to ready them for the spring yacht charters. If your accommodation is self-catering, you can experiment by buying top quality chocolate and milk, with pouring cream to add if you like. If you’re looking to really get in the spirit, add a glug of alcohol into the mix for a spiked hot chocolate. Boozy hot chocolate is utterly, utterly Christmassy and very warming on a cold night. A splash of dark rum adds a wicked depth, while liquors like Kahlua, Baileys and Amaretto are huge crowd pleasers. People are getting ever more creative with their spiked hot chocolate creations, whether it’s the recent trend for red wine in hot chocolate, a dash of Guinness, or the magical combination of Nutella and Frangelico for the perfect hazelnut hot choccy. A glass of Armagnac, cognac, or calvados will light the fire in your belly, and are perfect tipples for a cold winter’s evening. Whatever your favourite liquor is, we suggest that you head to a bar with an atmosphere of French Riviera glamour, and preferably some classy live music. Think Bar Americain in Monaco, where live jazz and soft armchairs will put you in the mood, the historic bar at Nice’s stunning Hotel Negresco, or the piano bar at Bar l’Amiral at the Hotel Martinez in Cannes. If you fancy something a bit more lively and a good sight less salubrious, it’s hard to go past the famous Absinthe Bar in Antibes, where you head downstairs into a vaulted cellar bar festooned with art deco posters and silly hats. Once you take a seat, you’ll choose off a vast absinthe menu, and a glass absinthe fountain is delivered to your table, along with ornate spoons and cubes of sugar. The absinthe is beautifully warming…and very alcoholic. Be warned! On some nights there’s a musician playing piano, and this often leads to rowdy sing a-longs and much hat swapping. It’s a fabulous night out, but check before heading there, as winter hours can be wildly undependable. Of course, there’s also the option of heading to a local café and enjoying a laid back glass of pastis, diluted with just the right amount of water. This is best drunk in a café with a nice warming fug and lots of activity for people watching. With these decadent warming drinks on the menu, winter on the French Riviera will warm the cockles of your heart. Happy indulging! A South of France yacht charter is a feast for the senses. There are certain sights and smells, sounds, touches and tastes that epitomize long summer days on the French Riviera. Float along the coast, savouring the breathtaking backdrop of snow-capped Alps and red rock edged by turquoise sea, the cool smell of pine forest and the sleepy sound of buzzing cicadas. Close your eyes enjoy the lap of water on the hull, the fragrance of lavender in the markets, the feel of your toes sinking into soft sand. Remember the water that sparkles in that mythical Provencal light, the sharp tang of salt in the air, and blue-green coves of perfect clarity. As your charter yacht floats along the coastline from Monaco to St Tropez, you will be transported into a sensory dream. Here are some of the experiences that will delight your five senses on a French Riviera yacht charter. The perfect French Riviera yacht charter is a tale of two glorious extremes. On the one hand, there’s the spine-tingling glamour of docking in an exclusive marina like Monaco or St Tropez for a night of Michelin star dining and champagne-spraying decadence. On the other, there’s the idyllic peace of sitting at anchor with a view of beaches and mountains, the only sounds the lapping of water on the hull and the soporific buzz of cicadas in the nearby pines. From your anchorage you can dive off the swim platform, get the water-toys out, or tender into one of the French Riviera’s fabulous beaches. Being able to switch between exclusive marinas and tranquil anchorages within minutes is one of the reasons that the French Riviera continues to be one of the ultimate superyacht destinations. To help you decide where to drop anchor on your South of France yacht charter, here are some of the best anchorage spots along the Cote d’Azur, cruising westward from Monaco to Marseille. The French Riviera is an esteemed location for luxury real estate, and the perfect setting if you’re looking for a rich lifestyle filled with entertainment, sunshine, beautiful scenery and outdoor adventures. Considered to be one of the ultimate yachting destinations in the world, the French Riviera has a perfect Mediterranean climate, as well as stunning luxury homes, whether you are looking for classic or contemporary, large or intimate. Situated in the south-east of France, the coastal region goes from Menton (near the Italian border) to Nice, Antibes, Cannes, Saint-Tropez and Cassis. Building regulations are strict to ensure the beautiful French coastline is not ruined, therefore demand for French Riviera property is high. Consider these four prime locations when searching for property on the French Riviera. Cannes is known for its bevy of luxury properties that attract the wealthy. The area’s plush real estate is why this is such a major hub for affluent home buyers. Homes are available in modern, bustling areas as well as in quieter historic districts and residential neighborhoods. Search for houses or apartments that are set against palm trees on the waterfront or in the heart of town near the best cafes and restaurants. If you’re seeking something more peaceful then look in the hills surrounding Cannes and benefit from stunning sea views! If you’re going to be renting your property out short- or long-term, look for an apartment in the centre of Cannes or a villa in a gated community, where you can rely on high security and peace of mind. This villa in Cannes boasts contemporary architecture and refined décor. The entrance hall level has a large living room; dining room; fully-equipped kitchen overlooking a covered terrace; and three suites, all of which open into the garden, and that also have a dressing room and either a bathroom or shower room. The upper floor includes a master suite and a second suite, both with a large, private terrace. Outdoors, there’s a pool, pool house and driveway that leads to four garages. Life in Cannes means easy access to a picturesque coastline and beaches, plus high-profile events, gourmet cuisine and high class shopping. The area is buzzing year-round, with a strong nightlife that includes live music, casinos and theatre. During the summer, large boats congregate on the nearby Lérins Islands. Located between Cannes and Nice, Antibes is home to Port Vauban, the largest private marina in Europe which is filled with huge superyachts. Exclusive villas, cozy penthouses and modern homes are close to immaculate beaches that can be visited year-round. While there are plenty of turnkey properties ready for immediate move-in, there are also project properties that you can work on in order to create your own, customised dream home (many of them already have renovation permits, too). Features of Antibes property include private garages, serene pool areas, fully-fitted kitchens, rooftop terraces, expansive patios, swimming pools and guest accommodation. This lovely, contemporary Cap d’Antibes villa has been recently renovated using high-end materials. Aside from five bedrooms, this home also has a large, bright living room as well as a cinema room. Spend an afternoon lounging by the private swimming pool, then head into the pool house when you need a break from the sunshine. Calm and laid-back, Antibes is known for the Marché Provencal covered market, where you can head for gourmet ingredients. Don’t miss scuba diving season, which lasts from May to October. Roam around to catch glimpses of pastel architecture and medieval towers. 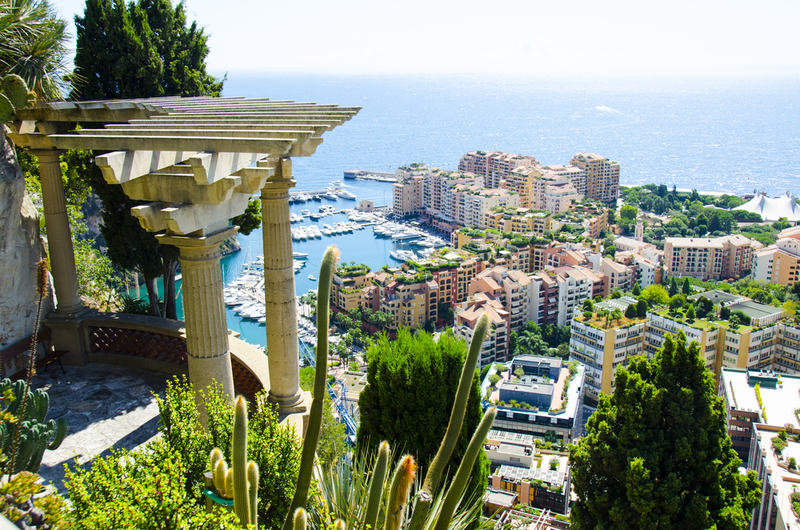 Though super small (less than one square mile), Monaco is a tiny principality with a huge personality – one that’s in high demand, too. Located between the Mediterranean Sea and the Southern Alps, living here gives you easy access to both the water and the mountains. Local architecture includes Belle Époque buildings, decadent palaces surrounded by manicured landscaping, and penthouses and apartments that look out onto the sea. By moving here, you’ll be amongst famous celebrities such as professional sportsmen (namely cyclists, golfers and F1 drivers), as well as models, musicians and some of Hollywood’s biggest names. This one-bedroom apartment in Monaco is located in a prestigious building (complete with concierge service) on a residential boulevard. Bright and south-facing, this apartment has high ceilings, a lounge, a dressing room with made-to-measure units, a bedroom with terrace access, and an open-plan kitchen that leads onto a large balcony. For a teeny, tiny place, Monaco packs in a lot to do. Head to a casino or museum, go golfing or attend a star-studded event. The area is extremely safe too, with 24-hour video surveillance of the entire principality and the world’s largest police for per capita and per square metre. Steeped in indulgence, excess and the best that life has to offer, Saint-Tropez is delightfully lacking when it comes to tourism sights. Head to the coastal Sentier du Littoral path, which runs along the peninsula and past the locale’s best, most extravagant villas. Other types of Saint-Tropez property include luxury apartments and vineyard estates. A large number of artists live in this part of the French Riviera, and you can watch them setup every morning on the port. This modern villa in Saint-Tropez has a dazzling, pristine interior that stretches across three levels. Five bedrooms have bath and shower rooms, the kitchen is state-of-the-art and many of the living areas are open-plan. Other amenities include a wine cellar, home cellar, electric gates and home automation system. The manicured, fenced-in garden has a variety of Mediterranean plants and trees, plus an automatic watering system. From crystal-clear swimming holes and the rocky coast to high-end dining and designer shopping, Saint-Tropez offers the ultimate jet setting lifestyle. When the 100,000 inhabitants thin out after the summer season, the area becomes peaceful and charming. Stroll down Old Town’s narrow streets or spend an afternoon at Le Café. When you purchase a French Riviera property, you also buy into a lifestyle. Opulent housing is available along the waterfront, as well on the outskirts of town, away from the hustle and bustle. When buying such a property, consider speaking to a buyer’s agent such as French property specialists, Home Hunts, they will go out and handpick a selection of luxury properties that meet your requirements and specifications, whether you’re searching for a full-time residence abroad or a holiday home. Whether you’re cruising down the French Riviera, floating through the sunlit seas of Sardinia, or docking in the Caribbean paradise of St Barths, a superyacht charter is the ultimate in glamour and barefoot luxury. And you’ll want to look the part, with a stylish wardrobe and designer accessories delivering just the right amount of bling for an effortless sense of superyacht cool. But since superyachts have their own unique dress code, it’s not always easy to decide what to pack! There are certain high-end fashion brands that are synonymous with the superyacht set and we’ll discuss these ‘brands that belong’ in detail in this guide, along with some practical insider tips on what to bring on a yacht charter, including what luggage to use, what technology to pack, and those funny old rules about shoes. Maybe you take a family holiday every year, but you want this one to be special. You’re tossing up between all the usual luxury vacation options the exclusive hotel or private villa, the high-end cruise ship or island resort. Forget all that. There’s a much better way – one which combines all the best of these traditional holiday choices and surpasses them with ease. A luxury yacht charter beats all the other vacation options, hands-down. So what makes a yacht so special? And how does a superyacht charter trump all other vacation options? ‘How long is a piece of string’ is the quick answer to this question. The variation in charter yacht pricing and facilities is simply breathtaking, with French Riviera yacht charters beginning at around €20,000 per week for smaller yachts, and soaring stratospherically upwards to over €1 million per week for the finest megayachts – complete with helipads, elevators, beach clubs, and infinity pools. It’s fair, then, to say there are some gaps in pricing and facilities. And in those gaps lies your opportunity to join the superyacht set. You may have to sacrifice the infinity pool, but you don’t have to sacrifice the dream. With more superyachts joining the charter fleet every year, yacht charters are more affordable than ever before. And once you factor in sharing the cost of your charter with a group of family and friends, yacht charter at the small to medium motor-yacht range becomes financially comparable to other luxury holiday options on the French Riviera such as high-end hotels, villas, and cruise ships. And when it comes to experiences, well, luxury yachts win that contest hands-down. Read more: How much does it cost to charter a yacht on the French Rivera?